Curb appeal counts! And not just when it comes to homes on HGTV. Your restaurant’s curb appeal is something you should consider just as important as the interior, menu, and staff. Think about it – the dining experience begins before your guests even walk through your doors. Just as people judge books by their covers, they will inevitably judge your restaurant by its exterior. Your restaurant’s curb appeal can have a major influence on its overall success. In fact, a local study in Charlotte, North Carolina found that 70% of first-time sales were based on curb appeal. Moreover, research has shown that customers are willing to pay more for their meals if they like a restaurant’s atmosphere. We’ve compiled a list of 10 tips on how to improve your restaurant’s curb appeal and ultimately attract more customers. If you’re looking to attract new customers, your restaurant’s sign or logo needs to be easy to spot. First off, the sign needs to be big enough to be read from across the street. If it’s visible from afar, hungry pedestrians are more likely to make a beeline for your restaurant when looking for somewhere to eat. In order to be easily read from a distance, your sign needs to stand out from its background (so don’t put navy lettering on a black building). For maximum visibility, consider an LED sign that can be read at night. Need some ideas about which type of sign to choose? This list is perfect for getting started. Example: Junior’s is a famous NYC diner known even more for the amazing (yes, we’ve had it) cheesecakes. The restaurant has been around since the 1950s and the history is reflected in the decor. The huge lit up signs aren’t easily missed and evokes that 50’s jukebox diner feel. When choosing colors for your sign and other exterior elements like awnings, consider the feeling you are trying to convey. Color plays a huge part in our emotions, so much so that there’s an entire psychology behind it. According to Eleanor Frisch from Food Service Warehouse, red and yellow work well for casual eateries (McDonald’s was on to something). Muted colors like dark brown and forest green work well for upscale restaurants because they imply a relaxed dining experience. You may want to think twice before incorporating blue, purple, and black into your exterior design. Frisch says that those colors can be unappetizing, and unappetizing is probably the last thing you want your dining establishment to be. Of course, that does not mean that restaurants who use those colors are always off-putting and uninviting. Once you have settled on a color for your sign or logo, make sure that the rest of the colors you use in your exterior design fit into that color scheme. In other words, try to avoid mixing bright colors with muted ones because that can confuse the eye. Displaying an outdoor menu is one of the best ways to convince passersby to choose your restaurant over the surrounding ones. Many restaurants post their menu next to their door or in a freestanding menu holder. If you do not have the space to post your entire menu, consider posting your daily specials or house specialties (the dishes that will set you apart from competition). It is also a good idea to promote your gluten-free, vegetarian, and vegan menu options because customers with dietary restrictions are more likely to rely on reading menus ahead of time than other customers. They’ll be more likely to choose your restaurant if they know that they won’t have trouble finding something that they can eat. Need ideas? Check out this Pinterest board. Example: This restaurant menu in a gold enclosed menu case is simple and elegant. Chalkboards and other adaptable signs are a great way to keep customers up to date. You can use them to post your daily specials, promote upcoming events, or to make any other announcements you may have. These signs are quite literally blank slates that you can use to showcase your restaurant’s unique personality. For example, restaurants can write jokes, puns, or thought-provoking quotes to grab potential customers’ attention (we’ve included some excellent examples below). Whatever you choose to write, try to limit it to around ten words so that it easy to read from the street. Research shows that the presence of vegetation positively influences people’s moods in an urban setting and that customers are more likely to patronize restaurants that are landscaped. Therefore, the addition of greenery to your exterior will attract more customers to your door. Planting flowers or placing potted plants by your door can go a long way. If you’re located in an urban area, just a few planters should do the trick. Landscaping is about more than just beautifying your exterior, though. Landscaping has functional utility as well. If you have the space for it, consider planting a garden (in your backyard or even on your roof!). In addition to looking pretty, gardens can yield plenty of fresh ingredients for you to work with (a sure selling point). According to the National Restaurant Association, growing fresh vegetables and herbs on site is becoming increasingly popular. Additionally, landscaping can be used to create privacy and block out street noise. Example: How gorgeous is this rooftop greenery at NYC’s Gallow Green? We want to drink and dine there just based on the luscious leafy & floral backdrop. Can anyone say Instagram photo opp? When considering your restaurant’s exterior, it can be easy to focus on aesthetics. However, your parking lot is one of the most important elements of your restaurant’s exterior. In fact, a lack of parking or a difficult-to-navigate lot can really hurt your business. Think about it this way: a diner’s parking experience sets the tone for the rest of their meal. Therefore, if a diner has a hard time finding parking, it negatively impacts their overall dining experience. The amount parking you need depends on your restaurant’s location and target demographic. For example, if your restaurant is located in a city center, diners are more likely to walk there than if your restaurant is located in a suburb. Additionally, if you cater to millennials who are more likely to take ubers or lyfts or to rely on public transportation, parking less important than it is if you cater to families. It’s not just the quantity of parking that matters. The parking spaces in your lot need to be easy to see and free of obstructions. If you can’t afford or find a nearby lot, consider hiring a valet company. A valet option eliminates the stress of searching for a parking space and also attracts a higher-paying clientele (which means higher check totals). You would never tolerate a dirty dining room. Why shouldn’t you hold your exterior to the same standards? Whether you like it or not, your restaurant’s exterior is an indicator of your restaurant’s overall cleanliness. There should never be any litter outside of your restaurant and you should keep the building’s facade as clean as possible. Pressure cleaning is an efficient way to remove dirt, mold, grease, and grime. You’ve probably seen “crazy shakes” and “unicorn toast” all over your Instagram feed. In 2018, photogenic menu items are an excellent source of publicity for your restaurant because Instagram users will often tag your restaurant when they post photos of their meals on Instagram. However, your food doesn’t have to be the only Instagrammable element of your restaurant. 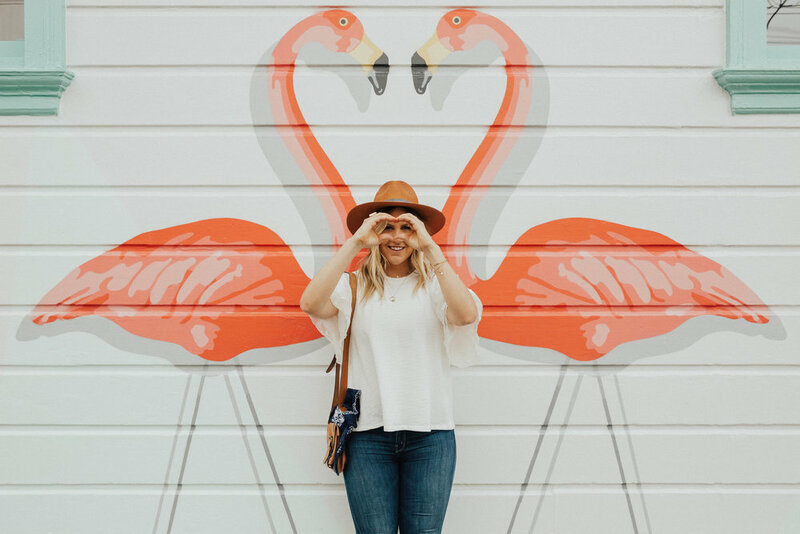 Murals, art installations, and other interesting exterior elements can make your restaurant a sought-after backdrop for posts on Instagram and other social media platforms. We’ve provided a few examples below. Curious passersby like to get an inside look at your restaurant. Therefore, it is a good idea to keep your windows free of clutter so that potential customers can peek inside of your restaurant to see the food being served and the overall ambiance before deciding to eat there. Better yet, outdoor seating areas offer pedestrians an up-close preview of your product. If you’re still not sure how you can improve your restaurant’s curb appeal, try doing a curb audit. Take the time to sit outside somewhere near your restaurant and watch how people react when they walk up to your restaurant. What do they seem to like? Not like? Because your ultimate goal is to bring more customers through your doors, it is beneficial to see your restaurant through your customers’ eyes. Great service and delicious food are not enough to ensure your restaurant’s success. 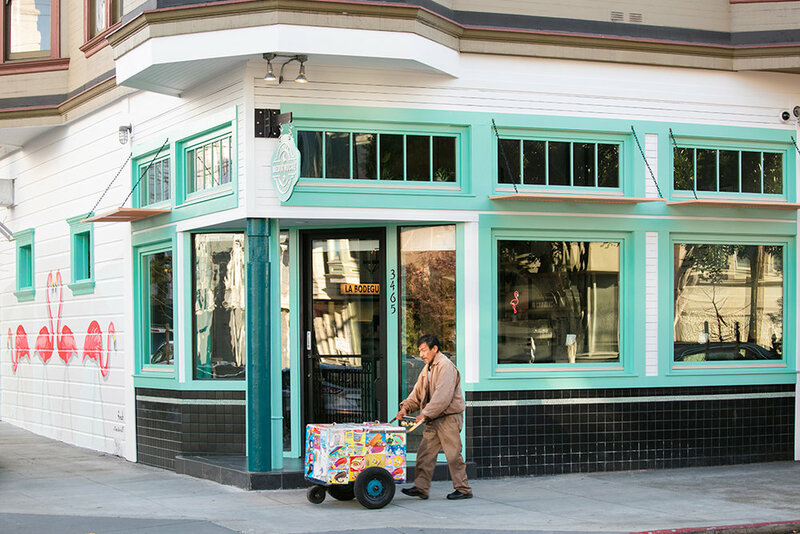 When setting your restaurant up for success, curb appeal is essential—especially if you’re hoping to attract new customers. After all, before a diner can evaluate your food or service, they need to notice your restaurant and decide to go in. It’s up to you to make your exterior as attractive as possible.